Fiocchi Shooting Dynamics 9mm Luger Ammo 115 Grain Full Metal Jacket ammo for sale online at cheap discount prices with free shipping available on bulk 9mm Luger ammunition only at our online store TargetSportsUSA.com. Target Sports USA carries the entire line of Fioccchi ammunition for sale online with free shipping on bulk ammo including this Fiocchi Shooting Dynamics 9mm Luger Ammo 115 Grain Full Metal Jacket . 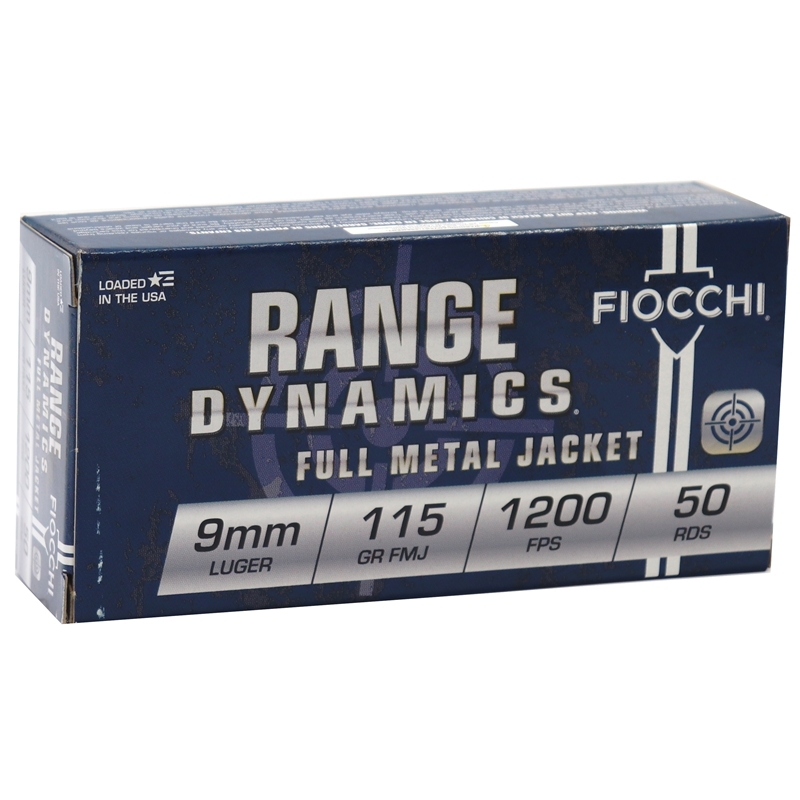 Fiocchi Shooting Dynamics 9mm Luger Ammo 115 Grain Full Metal Jacket ammo review offers the following information; Learn to train with the best! Fiocchi Shooting Dynamics ammunition delivers superior quality and reliability for the high-volume shooter and hunter. 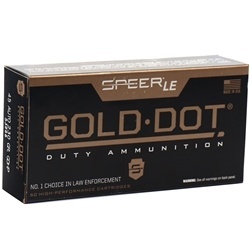 Loaded with similar grain weights as the Exacta line, this 9mm Luger ammo is flawless for teaching and practicing with comparable results at a much cheaper price. This allows the marksmen to shoot, plink, or hunt as much as possible. Fiocchi is known for creating reliable quality ammunition in a wide variety of calibers. Fiocchi encompasses LRN, FMJ, JHP, FMJHP, and JSP bullet configurations in all the most popular calibers. Fiocchi Shooting Dynamics 9mm Luger is loaded with a 115 grain Full Metal Jacket bullet. This Fiocchi Shooting Dynamics ammunition features a lead projectile, with a copper full metal jacket. Loaded with similar grain weights as the Exacta line, this Fiocchi ammo is ideal for training and practicing with the same results at a more affordable price. The affordable pricing allows shooters to plink, practice or hunt as much as they want. Fiocchi centerfire ammunition provides you with premium quality at less than premium pricing. Fiocchi Shooting Dynamics ammunition offers great quality and consistency for the high-volume shooter and hunter. The philosophy behind the Shooting Dynamics line is focusing on the accomplishment of the perfect synergy between shooter, firearm, and ammunition. Most of Fiocchi ammunition is loaded at their factory in Ozark, Missouri, but due to high demand Fiocchi also imports ammo and reloading components from their factory in Italy. All Fiocchi ammunition is loaded to either C.I.P. or SAAMI specifications. When looking at the ballistic charts you will notice that in terms of performance, Fiocchi's Shooting Dynamics line is above the rest! Fiocchi 9mm Luger is new production, non-corrosive ammunition, in boxer-primed and reloadable brass cases. Fiocchi Shooting Dynamics is packaged in a box of 50 rounds or a case of 1000 rounds. Order a case of Fiocchi 9mm Luger bulk ammo, receive free shipping from Target Sports USA! This Fiocchi Shooting Dynamics ammunition features a lead projectile, with a copper full metal jacket. All Fiocchi ammunition is loaded to either C.I.P. or SAAMI specifications. When looking at the ballistic charts you will notice that in terms of performance, Fiocchi's Shooting Dynamics line is above the rest! no problem go to train with this ammo. I love the price that i paid for it. Good price and timely delivery 👍 Target Sports USA have been extraordinary great since i have been using them.